With the Wimbledon fortnight now safely behind us, some of tennis’ top competitors will make their way over to the final grass court tournament of the season, the International Tennis Hall of Fame Championships. 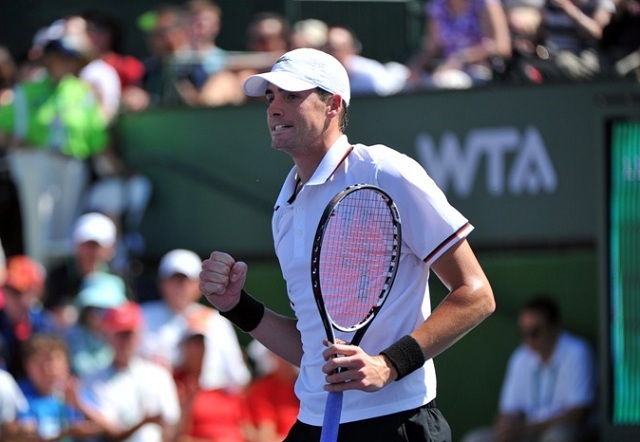 On Wednesday, top seed John Isner will begin his campaign at the event against fellow American Wayne Odesnik, whom he holds a 2-1 lead in the head-to-head series. This will mark their first meeting in five years as well as their first on grass. World No. 12 John Isner is coming off a third round exit at this year’s Wimbledon Championships. He defeated Feliciano Lopez and Jarkko Nieminen before losing to world No. 234 Daniel Smethurst in the third round of the tournament. Prior to that, he was coming off a fourth round exit at the French Open. Now, with a 21-11 record so far this season, Isner will look to work his way back into the Top 10 after falling to No. 12 over the past few months. World No. 216 Wade Odesnik took part in only two main draw matches so far this season, the first of which was the opening round of the Australian Open, while the second was a first round match at Delray Beach. He has since failed to qualify for five ATP World Tour tournaments, as well as the Wimbledon Championships. He did lift a Challenegrs title earlier in the season in Panama. This marks the fourth time these two competitors will meet on the professional tour, with Isner leading the head-to-head series 2-1. While this is the first time they will cross paths in over five years, Isner should still hold the size and experience edge against his fellow countryman. This should end in straight sets but could potentially go to three sets.